For the last week or so, I've been obsessed with Dead by Daylight, the asymmetric horror multiplayer from Behaviour. 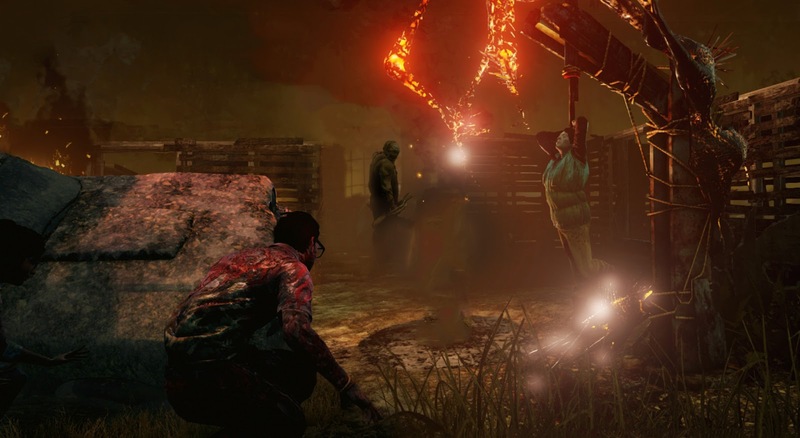 One person plays as the Killer, and a team of four people try to survive long enough to escape. I've been spreading my time across both, either as a killer, hunting down my victims and sacrificing them to a supernatural being, or as a survivor, doing my best to fix generators, open doors, and escape. Here's my top tips for each side! As tempting as it is to sprint non-stop when the killer is slashing at yours heels, it isn't always the best option. If you've managed to put just a little bit of distance between yourself and the killer - let's say you've jumped through a window or ran round a corner - it can sometimes be much more beneficial to slow things down and crouch. You see, when you run, it leaves behind a trail of red scratches that makes it much easier for the killer to track you. However, if you escape their line of sight and then immediately crouch, it becomes much harder to see which way you ran. This takes some getting used to, but you'll see your survival rate shoot up if you can master it. If you're a lone wolf, out-for-yourself, doesn't-look-back-when-the-exit-is-open kind of survivor, this tip won't apply to you. If, like me, you want everyone to work together and make it out alive, listen up. 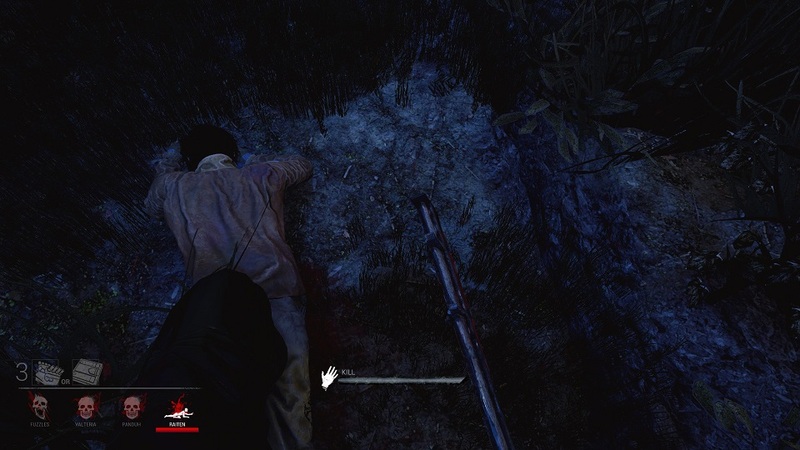 When a fellow survivor is knocked to the floor, carried by the killer, or thrown onto a meat hook, their position is highlighted in red. You can see it from wherever you are, and believe it or not, that's where you're going next. 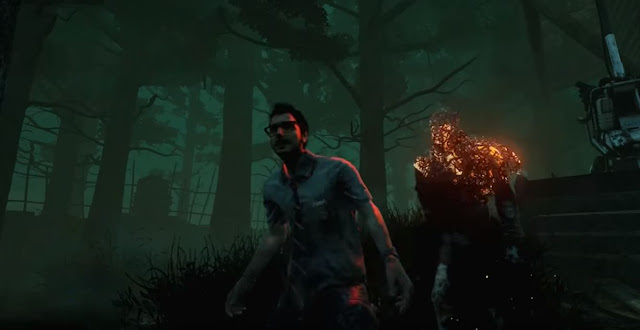 When a survivor is highlighted for one of these reasons, get as close as you possible can without being seen. If they're not already on a hook, they will be soon, and they'll need your help. 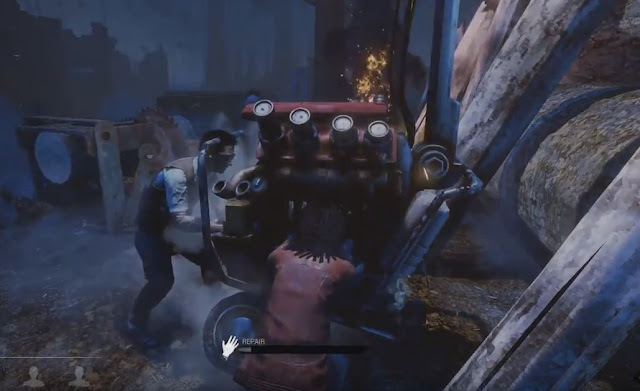 When fixing generators, sabotaging hooks, or healing fellow survivors, the only thing worse than being found by the killer is the dreaded skill check. This is a small mini-game which has you tap space when a needle reaches a specific point, and getting it wrong can be disastrous. Messing it up announces your position to the killer, who is more than likely to stalk directly to the source of the noise. Don't worry. There's a trick to it. Just before such a skill check appears, there's a cue. This comes in the form of a ghostly chime. If you hear that, get ready. In about half a second, the skill check is coming. While that doesn't sound like a long time, it's more than enough to focus your attention on the mini-game, rather than searching the horizon for signs of an encroaching killer. It's easy to get wrapped up in being totally badass as a killer, stomping from one generator to the next in the hopes of finding your next victim. That won't always help you find survivors to maim and mangle, though. Taking the time to listen to the world around you can reap benefits. Can you hear a generator being fixed? Was that a cupboard door that just slammed shut? Is that the whimpering of an injured survivor in the bushes? All of these sounds can help you to track down victims even when they're acting calmly enough to sneak and hide before you get there. With a little tactical thinking, even that won't save them. Just like the masked murderers of classic horror films, always try to be one step ahead of your next victim. When a chase has broken out, directly following their trail isn't always the best move. 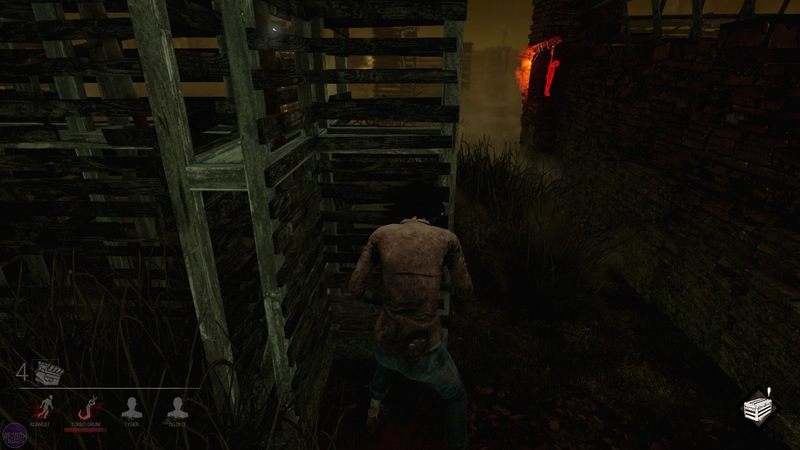 Survivors will always try to run to a pallet that can be knocked down, or a window they can jump through, and this can really slow you down. However, if you can see a pallet or window they're running towards, think ahead. Go around the pallet, or through a door near the window, and you'll have anticipated their escape route before they'd even planned it themselves. Sometimes this can lead to them running right into your blood-soaked hands. If you've managed to knock one survivor down, and another injured survivor is nearby, chase them. While it may be tempting to immediately pick up the survivor that is crawling along the floor in pain, they're not going anywhere fast. If you let the other survivor escape, they may return to save the first survivor from the hook, or begin working on generators again. You can't have that. Though there's the possibility that a third survivor will heal your first victim, I've found it quite unlikely that more than one survivor will have bravely put themselves in the killer's crosshairs in order to help another. That means, if you can catch them as well, it's two birds with one blood-spattered stone. 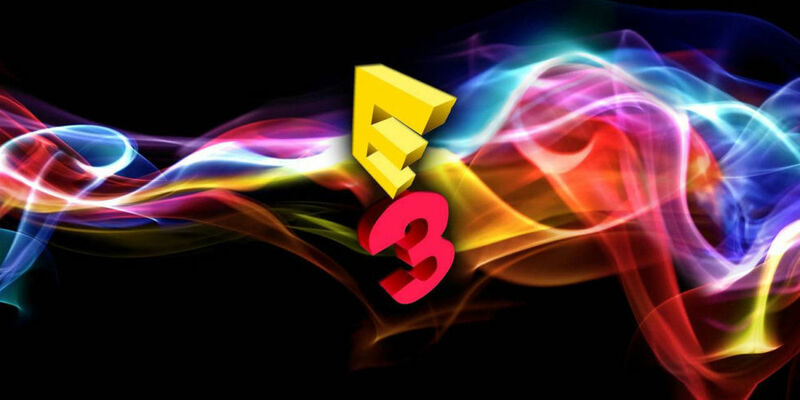 E3 2016. Wow. As always, this past week of E3 has been a whirlwind of conferences, presentations, streams, announcements, secrets, trailers and gameplay. It's an amazing time to be a gamer. Luckily for us, it's also an amazing time to love horror games, because a good selection of games shown across the week were either outright horror, or had a disturbing twist to them. That's right. Jason is back in Friday the 13th: The Game, and he's once more terrorising the teens of Crystal Lake in an asymmetric multiplayer that was funded on Kickstarter. One player controls Jason, while another four players work together to escape by a few different means, such as calling the police or fixing a truck. Until recently we'd only peeped through the hockey mask at a slither of pre-alpha gameplay, but this all changed at E3 2016. 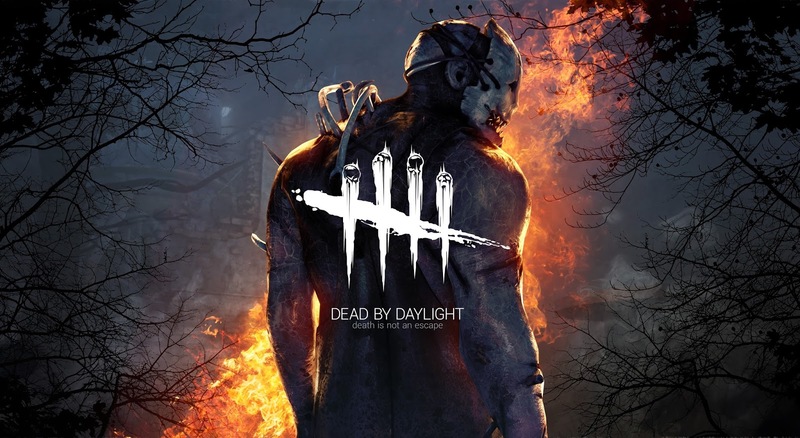 Gameplay footage was shown and revealed Jason's gory environmental kills (based on kills from the films), his ability to teleport, and also a little snapshot into playing as a counsellor. Hint: they don't do so well in this playthrough. To much celebration, a sequel to the popular zombie strategy/survival game, State of Decay, was announced. Available only on Xbox 360 and PC, and later Xbox One, the sequel looks to follow this trend. It seems that the game's emphasis on building relationships with the NPCs and using teamwork to survive is a present as in the first game, and this is no doubt a game that has many gamers foaming at the mouth. Though little was shown for the newly-announced Observer, the trailer below was enough for the game to hack its way onto my radar. It's believed that the game is based around the concept of going into other people's dreams, which seem to much more closely resemble nightmares. The aspect of this game that excites me most is that dreams, or nightmares, could lend themselves to a variety of scary scenarios and still make sense within the confines of the narrative. Nothing is scarier than the unknown. I have to admit, this reveal almost didn't make the list. First described as a post-apocalyptic (yes) Sons of Anarchy (meh), I wasn't convinced. Thankfully, a good chunk of gameplay was also shown, revealing hordes upon hordes of infected, swarming towards our Harley-riding protagonist in a way that resembled the undead crowds of World War Z. Not only is it pretty pleasing to the eye, but the absolute number of infected on-screen, and the fluidity at which they appear, is downright impressive. Days Gone has swarmed right over my scepticism and onto my E3 2016 wishlist. I'd prayed for Prey, ever since the free-running, sci-fi bounty hunter gameplay that was shown for Prey 2 back in 2013. Then everything went quiet. It was unclear whether Prey 2 would ever see the neon light of day. Technically, it hasn't, because what was revealed at E3 2016 was only named Prey. All we know so far is that it will be set on a space station in 2036 where an experiment has gone wrong. Surprisingly, Prey seems to have ditched its previous parkour bounty hunter vibes for a creep factor. I was so excited for the previous version that I'm actually not completely won over by the horror aspect yet, which is something I never thought I'd say. Let's hope we don't have to wait until 2036 to see more. From the first time I saw Vampyr, a surprisingly thoughtful action-RPG set in Victorian London, it had its fangs well and truly in me. Players will control Jonathan E. Reid, a doctor whom was recently turned into a vampire. He is now driven by a thirst for blood in a world where every choice he makes, every person he kills, will have consequences further down the line. These consequences, and the morals of this cursed protagonist, will be entirely in the hands of the player. It's an interesting concept, and one that could have players questioning just how carefully they walk the path between murder and survival. Here's a couple of bonus additions for you - because I'm nice like that. Might as well start with a game we know almost nothing about... For example, it may not even be a horror game. Death Stranding is the latest partnership between Hideo Kojima and Norman Reedus, who were working together on the much-anticipated, and unfortunately cancelled, Silent Hills. While we're yet to understand what is even going on in the trailer below, it's clearly a strange and unnerving affair. This mysterious blip will be on many radars after E3. 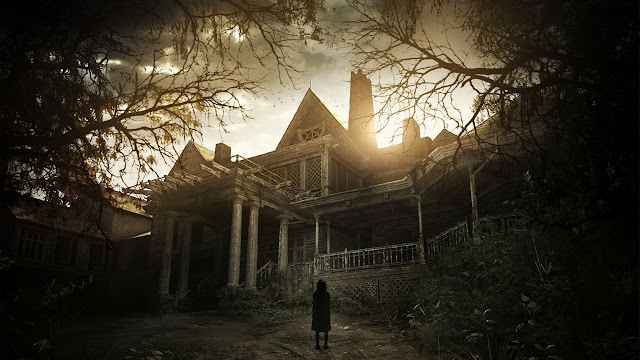 That wraps up the list of top 10 horror games that caught my eye during E3 2016, along with a couple of bonus games that may or may not fit into the horror genre at all. Either way, it's a list of games that I'm pretty excited for. Which game are you most looking forward to? Let me know! I've always got time to talk horror. Please leave a comment or start a chat with me over on Twitter. It was a Tuesday morning (in the UK). The E3 2016 Sony conference was well underway. Then, out of nowhere, a game that many had forsaken fought its way back up to the surface by tooth and nail. This re-animated corpse was, of course, Resident Evil 7. What's more is that Capcom revealed there was going to be a Resident Evil 7 demo called 'Beginning Hour' made available on the PlayStation Store immediately. Resident Evil was well and truly back to its rightful place at the forefront of horror-loving minds. But, does it deserve to be there? The first thing that's impossible not to mention is that fact that the series, which has always been third-person – with the exception of the Resident Evil: The Umbrella Chronicles, an FPS game for the Wii – could now be an entirely first-person affair. This is likely to divide long-time fans of the series. Some will see it as yet another step away from what made the classics so great, whereas others – like myself – feel that this makes horror feel incredibly immediate, and that a change, even such a drastic departure as this, was needed in order for the franchise to remain relevant. 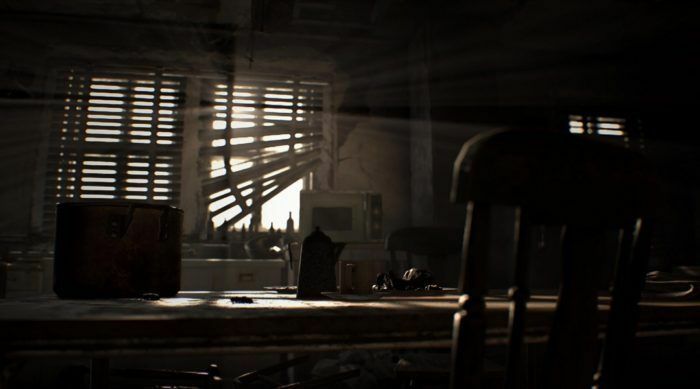 Some of the most terrifying games (and demos) of recent years have been first-person, such as Outlast or P.T., and it's nice to see Capcom taking inspiration from acclaimed horror games rather than acclaimed action games. Anyway, there's more to the demo than how you view the horror, and for once, there actually is some to view. "Get out of the house." Then nothing. No tutorial. No hints. Just an unlit room, two old sofas, a dirty table, a fuse box, a dusty stone fireplace, and a TV on a table in the corner, playing static. On the table in-between the two sofas there was a note, which said "I will dash them against the stones." Curiosity and the thought of freedom drove me forward into the darkness. The TV needed a video tape, and the fuse box was missing a fuse. Of course, I had neither. What I did have, however, was an inventory. Though I had nothing to fill it with, the inventory seemed limited in space, and items could be mapped to the four directions on the d-pad. Good to know. I found a door, and was prompted to press X to open. As in all RE games, I expected a door animation to take over. It didn't. I was pleasantly surprised to find that the game actually has you manually open a door by pushing the analogue stick forward. 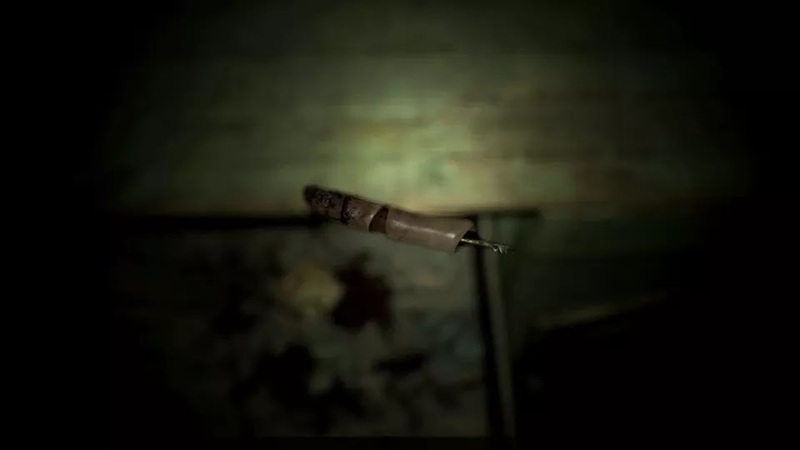 It's a small feature, but one that keeps you firmly in control, making something as simple as opening a door more tense than the entirety of RE5 or RE6 combined. With nothing much else to see, I moved on. To my right there was a cabinet. I opened a drawer and found what appeared to be a dummy's finger. It seemed useless to me at this point in time so I placed it into my inventory and continued. In front of me, a crossroads. I could either go upstairs, where a dark room and a flashing light beckoned me, or I could go into the kitchen, looking a little worse for wear, but much more open and lighter. I chose the kitchen (obviously). I opened the fridge and found nothing but mouldy food, followed by the microwave, which contained a long-dead crow. I'll probably never know why it was there, and I'm okay with that. Next, I opened a large pot sitting on the kitchen table, only to find more rotten food and a few cockroaches. There was little else to explore in the kitchen, except for a drawer with nothing in and another that was locked. Thinking the key wouldn't be anywhere nearby, I headed through a door on the other side of the kitchen. It led down yet another worn corridor, but it was the small room at the end that caught my eye. Flesh. Covering the floor. Just, flesh. It may have been animal carcasses, though it was hard to tell, and I wasn't about to get any closer. Stabbed into one of these piles of flesh was a pair of bolt cutters, which I yanked free before trying the door. Through it I could see the bright light of day, and the door itself seemed in better condition than the rest of the house. Was this the way out? I tried the handle. Locked. I headed back. At the end of the corridor was a wardrobe that I hadn't seen on the way past, and its doors were locked by a thick chain. I selected the bolt cutters from my inventory and cut through. Inside the wardrobe was a video tape, and I had just the place for it. I made my way back, expecting something to jump out at me at any moment. It didn't, but that didn't change the fact that I was internally cheering for the level of tension the demo was delivering. Instead of punching a massive boulder, it was like Chris Redfield was punching my heart. Much better. Back in the room I had woken in, I played the video - as it turned out, quite literally. As the video began to play, I realised that I was in control of the person with the camera, filming some sort of haunted house show called 'Sewer Gators'. 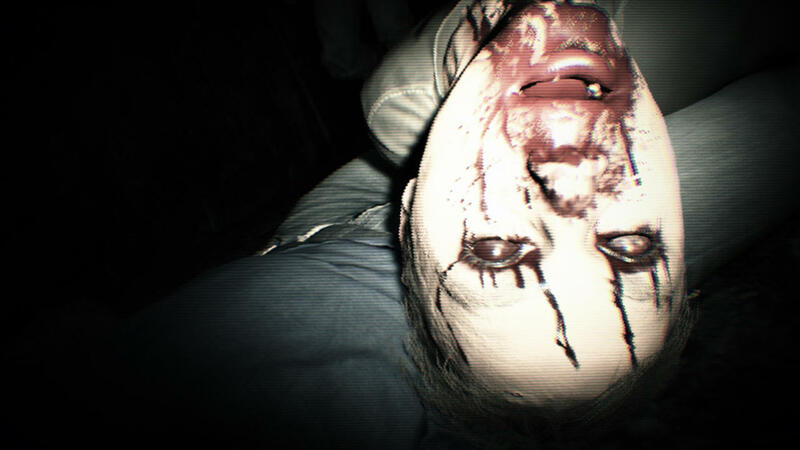 This feature shows some real growth in Capcom's mindset towards horror, as they're leaving the control, and therefore the fear, in the hands of the player. As they (I) continued filming the show, I realised that they were actually walking through the very house I was now watching the tape in. Naturally, before long, a member of the team went missing. During the search, we ended up in the same room that I was watching the tape inside, and the egotistical presenter of the show found a hidden switch in the fireplace. When activated, it opened a small square door in the wall, which led to a space under the house - maybe a second basement used in Prohibition times. For a while I was pointing the camera up at the ladder I had just climbed down for a "hero shot" that the presenter wanted. After he didn't follow me down, I started to look around. I quickly stepped back and my breath caught in my throat. Directly behind me was the missing member of the team. He was facing the wall, not moving. After building the courage, I grabbed his shoulder. In doing so, I pulled him from a hook that was lodged into his jaw and we both fell to the floor. Blood seeped from his eyes and his head lolled backwards in my lap. He was almost certainly dead. There wasn't much time to think before someone else stepped out from the darkness, into the basement with me, and the video cut out. On the table in front of me... the note from before, but changed. It now said "I will dash YOU against the stones," with the "YOU" written in blood. Great. I needed to get out of this house. The first thing I had to do was trying the fireplace switch from the video. Yes, it was there alright, and it opened the same hole in the wall. Before going through, though, I had to check upstairs. If I were going to find something in this basement that ended the demo, I wanted to have explored the entire house. I cautiously made my back to the bottom of the stairs and tiptoed up. At the top was a flashing button marked 'Stairs' which didn't seem to do anything when I pushed it. Aware that there was a missing fuse, I gave up hoping that this would do anything and instead kept a watchful eye on three mannequins that stood by the wall to my left. I hate mannequins so much. I found the courage to try and use the dummy's finger, but it didn't seem to work. Happy to leave the plastic nightmares behind, I headed back to the hole in the wall in search of the door key. As luck would have it, the key to the back door awaited me at the opening to the basement. The ladder was missing, which was fine by me, and it was definitely time to go. I headed back into the room, but something had changed again. The door leading back into the corridor was wide open. I crept towards it and the soundtrack spiked as something tall and deformed walked past. I backed into the room and waited, hoping it hadn't seen me. Whatever it was, it didn't appear again, though the thought of seeing it up close and personal made the walk to the back door seem much longer than it had before. By the time I reached the room of rotting flesh, I was squinting, convinced that the thing was hiding within the corpses. Again, nothing but my own fears. I walked up to the back door without any issues, used the key I'd found to unlock it, and pushed the door open. Outside I could bright blue skies and a lush green garden. Freedom. "Hehehe... Welcome to the family, son." I turned and an old man in a yellow jacket knocked me out with a punch to the face. The demo was over. Or at least, that's how it ended for me. Similarly to the P.T. demo, there are actually multiple items and secrets hidden throughout, many of which can actually lead to different endings. 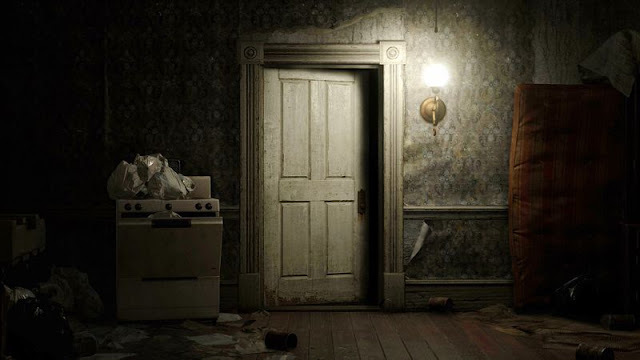 It's possible to find the missing fuse, go into the attic, answer a phone call (with at least three different conversations), see the mannequins come to life, find an axe, and even to spot a ghostly apparition of an unexplained woman (whom I didn't see even once). However, no-one is yet to figure out what the dummy finger does... if anything at all. 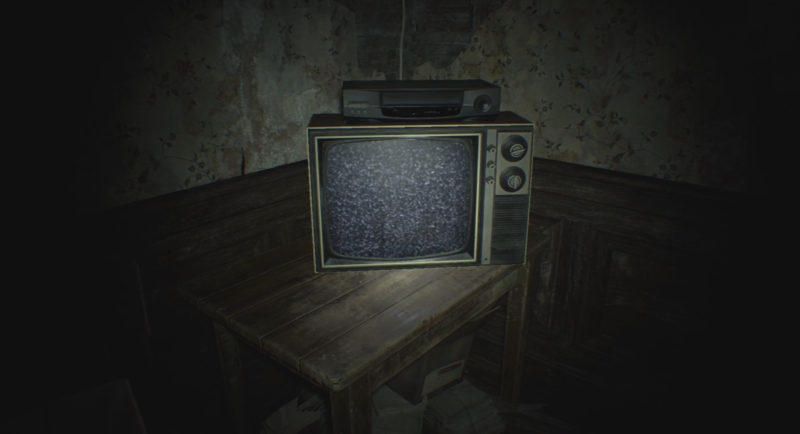 Was the demo on the same level of fear that games like Outlast or P.T. produced? Not quite. Did I, for the first time in years, actually experience fear in a Resident Evil game? YES. Hell, I even jumped a couple of times. For me, that's a step in the right direction, and it means that I can finally be excited for a Resident Evil game without the feelings of shame that came with my blind excitement for Resident Evil 6. If you have a PS4, you can now download the demo and try for yourself. I'm hoping that you'll find the same sense of fear and excitement that I found. In fact, I'm hoping the demo sinks its rediscovered, infectious bite just as far into you.